In our previous blog posts, we wrote about many reliable packaging and shipping companies in NYC that you can entrust to handle any of your moving needs, no matter whether they are related to shipping fine art, furniture pieces, expensive appliances, or anything else. However, many of these shippers operate not only in the New York metropolitan area but also across the United States and internationally. 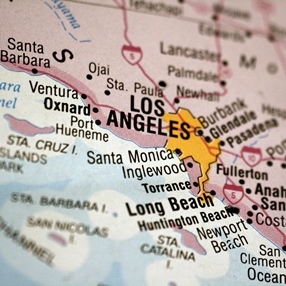 So if you are now looking for the trustworthy freight companies in Los Angeles, CA, the list is almost the same. For example, Cadogan Tate, Crozier, and Gander and White have their representative offices in Los Angeles and can help you solve any moving or shipping problem. As for Fine Art Shippers, we also successfully operate across the country and can easily ship fine art or any other items from or to Los Angeles if necessary. Being in the packaging and shipping business for 23 years, Fine Art Shippers can be rightfully called one of the best freight companies in Los Angeles and New York City. Moreover, since we are largely focused on the transportation of art and antiques, our company is the best choice when it comes to valuable and fragile items of exceptional value. Plus, Fine Art Shippers is an ideal choice for shipping big packages and moving heavy equipment both across the United States and overseas. We know how to handle any job, which makes our domestic and international freight service a preferred option for many businesses and individuals. One more important thing that makes Fine Art Shippers one of the best freight companies in Los Angeles and New York City is that we do not have any weight and size limitations. Our team can pick up, pack, and ship oversized items of any type, choosing the safest and most appropriate method of transportation to meet the client’s needs. Thus, we can ship your freight by land, rail, sea, or air, depending on the destination, cargo characteristics, and your personal requirements. It is also worth noting that while there are many other reliable freight companies in Los Angeles, Fine Art Shippers has the lowest shipping rates, which gives another good reason to order our freight service. If you are still in doubt, just give us a call, and we will tell you about all the benefits you get when dealing with our team of professional shippers!